Stanton Moor overlooks the Derwent and Wye valley, lying 300 metres above sea level, has been used for thousands of years. In the Bronze age four thousand years ago, people settled here using this place for farming, funerals, ceremonies and other activities. 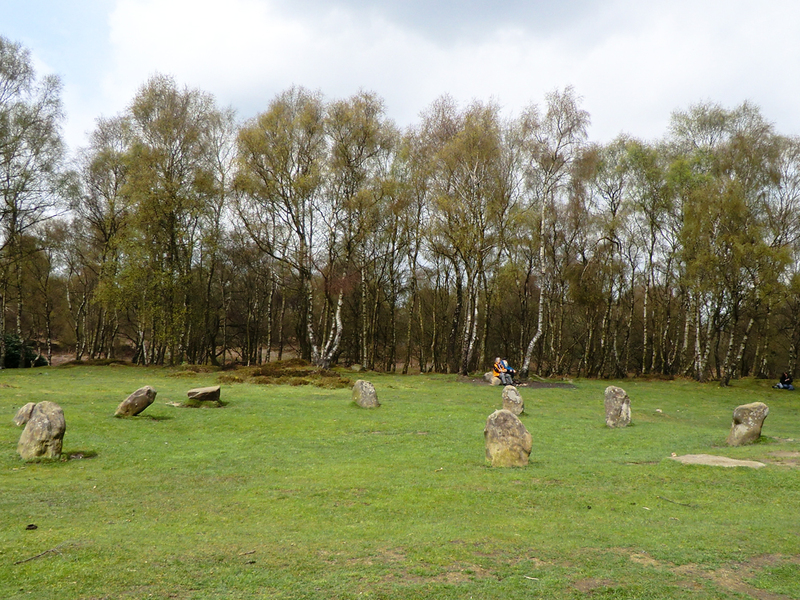 Nowadays its filled dog walkers and hikers seeking a peaceful retreat from the crowds, to view bronze age relics, barrows, cairns and stone circles of which the most well-known and visible is the Nine Ladies Stone Circle which lies at the centre of Stanton Moor. A 4000 year old stone circle of low grit stone blocks less than 1 metre high. Legend has it that nine ladies were turned to stone for dancing on the Sabbath and that the King Stone was a fiddler. The King Stone is isolated outside the circle 40 metres away, for which purpose we do not know. All people do on it now is sit on it.